The 2019 event details are being finalised, the conference will be held at the Stamford Ballroom. 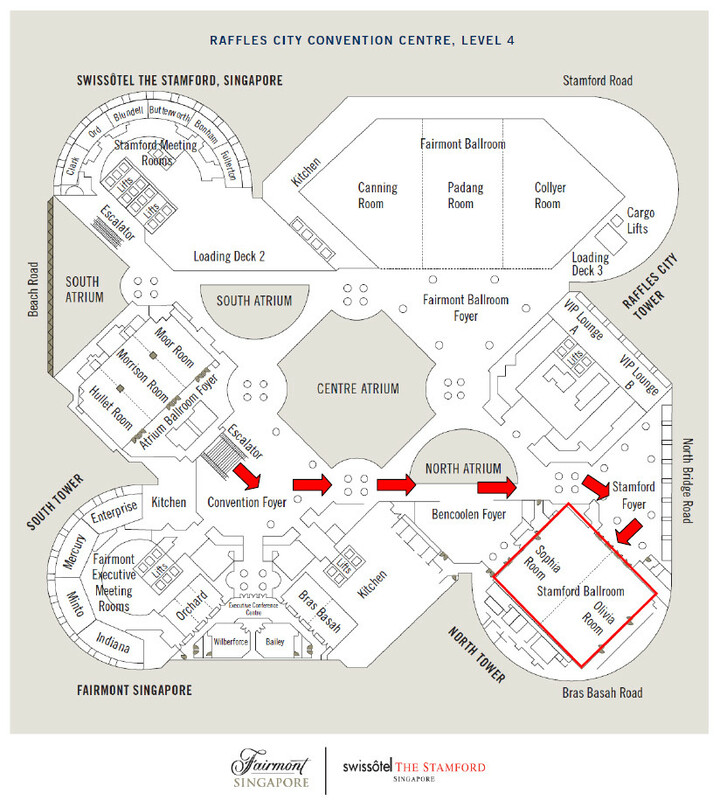 Raffles City Convention Centre (RCCC) offers more than 6,500 square metres (70,000 square feet) of prime, flexible function space, including 27 meeting rooms and three magnificent ballrooms. Be it a global conference, a state-of-the-art presentation, from a lavish charity ball to a thematic banquet, support is offered along every step of the way to ensure that your meeting or event is a rousing success.